Spearfishing is a great way to fish—it’s sustainable, affordable, and most of all, tons of fun. But it’s a tough sport to get started and improve your skills with, while also staying safe. You’re going to need some quality gear, knowledge of local dive spots, and some spearfishing tips if you want to bring dinner home with nothing more than a spear. Fortunately, at The Adventure Junkies, we’re all about helping people start their next outdoor adventure. If you’ve never spearfished or you’ve gone a couple times without much success, you’re in the right place. We’ve created this guide full of spearfishing tips to help you get out there, get wet, and start catching fish. Spearfishing brings with it all sorts of dangers—from sharks and eels to getting tangled in stray fishing nets. But there’s a bigger danger to spearos that is inherent in every water sport and that’s drowning. In fact, drowning is, or should be, a serious concern for every spearo, regardless of their level. That’s where our first dive tip comes in. Shallow Water Blackouts result from a lack of oxygen in the brain called hypoxia. When a blackout occurs you only have about 2 minutes to act before brain damage and death become imminent. That’s why diving with a buddy is absolutely required for everyone, no matter how many times you’ve done it. 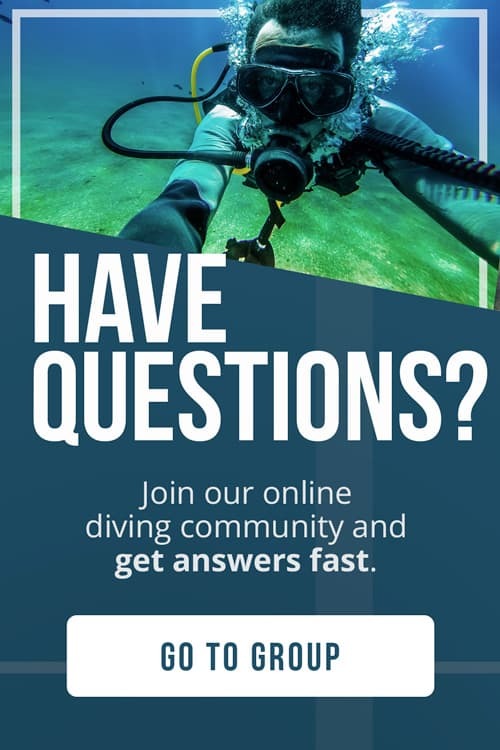 Do not dive alone. Dive knives are useful for effective fishing and safety. Not to mention, who doesn’t like to hunt with a knife strapped around their ankle. The dive knife is good for cutting yourself, or your dive buddy free from nets or ropes you might become entangled in. It’s also useful for finishing off any fish you’ve speared. This is a more humane way to kill the fish, and by quickly “braining” the fish, you’ll make sure to secure the catch. To brain a fish, stick the knife in the top of their head and move it back and forth. If you’re just starting, you probably need to go to the local dive shop for supplies. Ask the employees there where the beginner spots are, and what to watch out for. 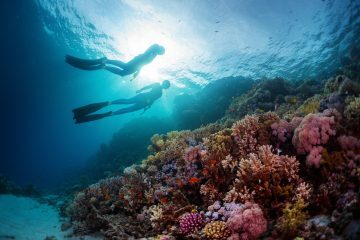 Some spots are only safe for experienced divers as rough waters, currents, or tough terrain can make diving unsafe for beginners. If you can’t find anyone to talk to, scope the spot out yourself. If you wouldn’t be comfortable snorkeling there, don’t take your spear out. When you’re just starting out, you’re better off avoiding any spots with rough surf or depths greater than 20 feet. As they say, if in doubt, don’t go out. This should go without saying but there are always horror stories about eels clamping on to divers’ arms. If you are bitten by an eel, just know that when it clamps down on your arm with its razor-sharp teeth, the last thing you should do is pull it out. An eel’s teeth curve inward, so if you try to rip your arm out, you’ll be ripped to shreds. Your best bet is to avoid the situation all together. Don’t put your hands anywhere you can’t see them—between reefs or in dark holes and caves. Also, be aware of where you place your hands. You might unconsciously brace yourself with your hand when taking a shot or trying to get a better view. Eel bites aren’t life threatening, unless they’re poisonous, but they seriously hurt. Take heed. If you’re lucky enough to have a friend or know somebody who’s experienced, pick their brain. Try to tag along with them. Ask them questions. 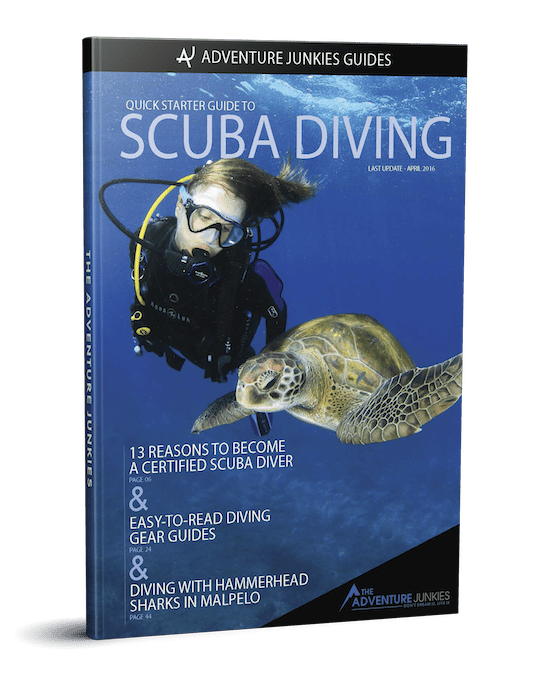 You’ll glean all sorts of useful information, and the extra bonus is that it’ll be specific to your dive spots. 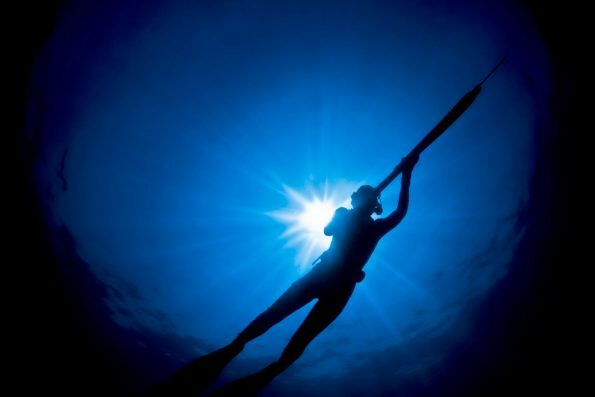 Pole spears are a great way to learn the art of spearfishing. They’re also an inexpensive, convenient way to get started quickly. 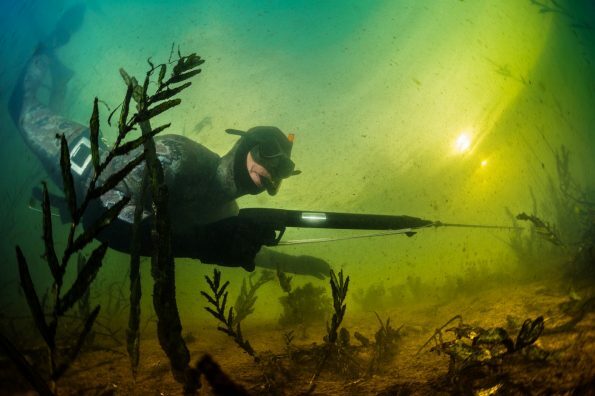 Hunting with a pole spear will help you learn how to move in the water while holding a weapon. You’ll learn all the fundamentals you need to become an expert spearo by fishing with a pole spear. This goes for everything, from your dive spot to the fish you catch. Don’t target anything you can’t eat, but try shooting for smaller fish to start. 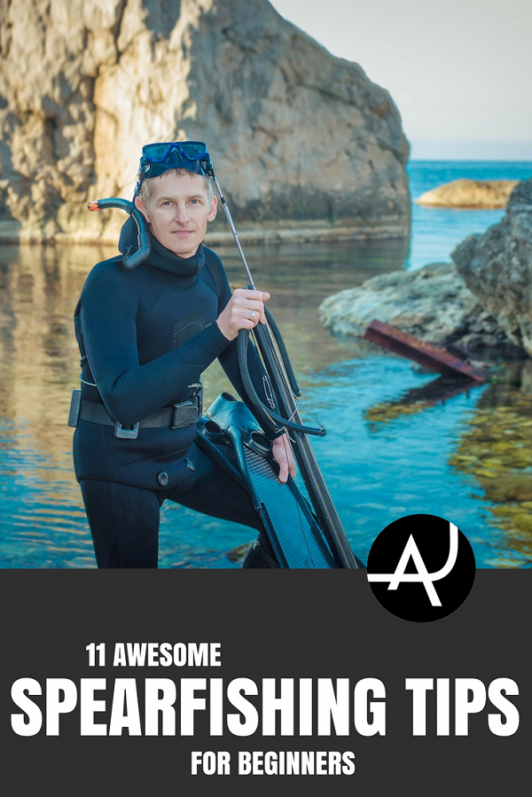 It’s easy to get discouraged with spearfishing, but this is a good way to build your confidence. Also, try to dive near jetties or reefs when you first start out. The water is shallow and you’ll have more obstacles to hide behind, which makes it easier to sneak up on fish. Spearfishing doesn’t require a ton of gear, but it’s important to get quality stuff. Don’t scrimp on masks, gloves, or fins. If the water you’re diving in is cold, consider getting a wetsuit. You’ll be in the water for at least a couple hours and even in relatively warm places, you can get uncomfortably cold. Fish don’t have the best eyesight. They see your silhouette, and the bigger you look, the more scared they get. Approach fish in a way that minimizes your silhouette. For example, if you know there’s a fish hiding behind a rock and you want to target it, approach behind the rock. Then, if you need to see over the rock to aim at the fish, only use a small portion of your head to peek over. This way your silhouette is small and less likely to spook the fish. It’s a bit cliché, but it works. When aiming at a fish, pick a small target—preferably just behind and near the top of the gill. The concept is that when you pick a small target, any error will also be small. On the other hand, if you aim to simply hit the fish your error is more likely to result in a complete miss. Aiming for this spot on the fish provides the bonus of a “stone” shot, which is when you kill the fish in one shot. It only happens when you’ve struck the fish right in that spot behind the gill. It’s the most humane way to kill the fish and it helps you avoid losing a catch after you’ve shot it. 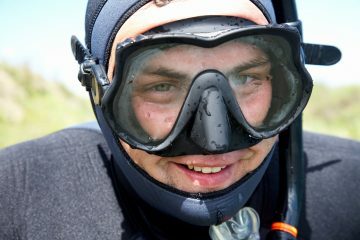 It’s standard for an experienced diver to hold their breath up to three minutes. It allows you to pick a spot on the sea floor, or behind a rock and wait until a fish comes along. Whereas people without the ability to hold their breath must rely on staying hidden on approach and while aiming. This will take time to develop. But there are some things you can do to improve right away. Staying warm, getting good fins, and going slow will all improve your breath hold. Avoid pushing it when you’re out there diving, though. No fish is worth risking a shallow water blackout. Chris is a freelance writer documenting his travels around the world and across the United States. He graduated University of Hawai’i in 2014 where he ditched the surf scene to spearfish off the coast of Oahu. He was brought up on pole spears, hunting reefs and jetties. If he's not diving he's somewhere near the water, in the mountains riding his bike, or competing in triathlons up and down the state of California.